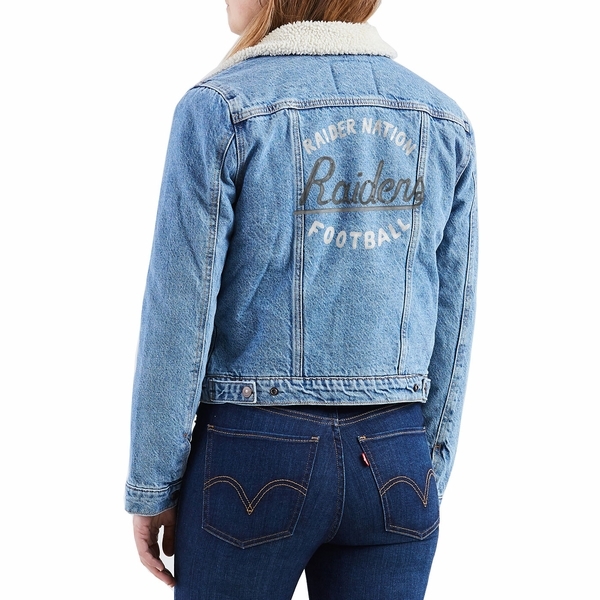 Classic, Levi�s style and Raider pride create a timeless look! 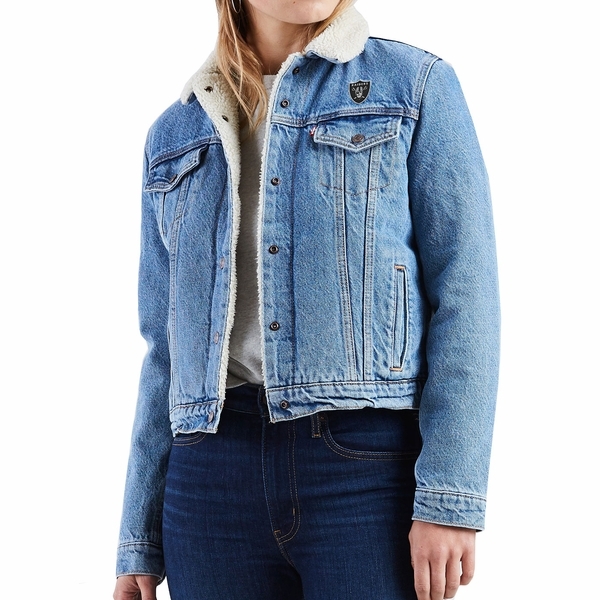 The Raiders Levi�s Women�s Sherpa Trucker Jacket features warm Sherpa lining on the collar and body, and vintage-inspired embroidery on the chest and back. Body: 100% cotton. Lining: 100% polyester.